Your journey continues in Makalali Private Game Reserve near Kruger National Park. 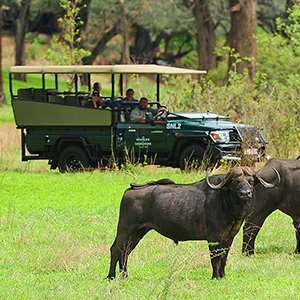 Here, enjoy six game drives in an open-air, 4-wheel-drive Land Rover. Your professional ranger and skilled tracker will help you search for a remarkable number of species, including 42 mammal species and 350 bird species. You’ll have a great chance to see the “Big 5”—lion, leopard, elephant, rhino, and Cape buffalo. Have your camera ready because you may also see impala, giraffe, hippo, spotted hyena, cheetah, wildebeest, and more. 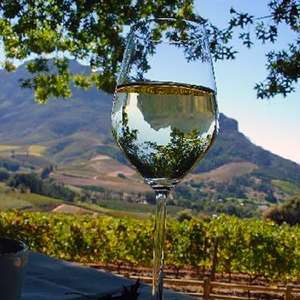 Even stop for sundowner drinks in the bush! In Botswana, enjoy game activities in the famed Okavango Delta, the largest inland delta in the world, and Chobe National Park, home to what many believe are the world’s largest elephants. In the Okavango Delta, Globus has included a unique adventure…a mokoro (dugout canoe) excursion. 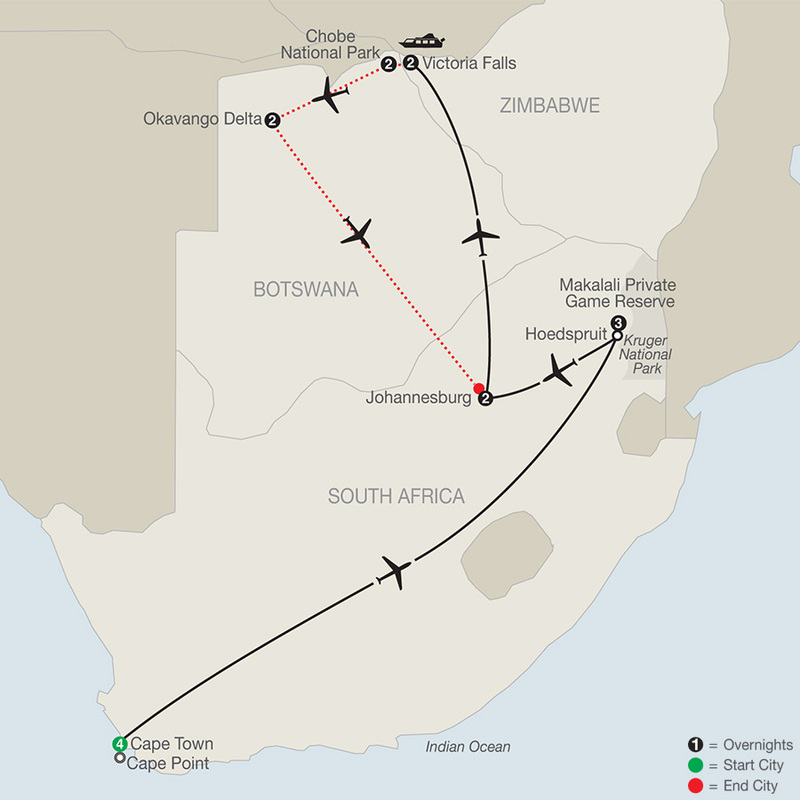 Other highlights include Johannesburg’s unforgettable Apartheid Museum and Soweto, the country’s largest township, where you will visit the former home of Nelson Mandela and Zimbabwe’s stunning Mosi-oa-Tunya (the smoke that thunders) also known as Victoria Falls, spanning the border of Zimbabwe & Zambia. Take a guided walk along the falls, which is roughly twice the height of Niagara Falls, and cruise on the Zambezi River at sunset. Botswana—Due to limited capacity on charter flights, your luggage must be soft-sided with dimensions not exceeding 26"x12"x10" or weight exceeding 44 lbs, including hand luggage. These flights also have a passenger weight restriction of 220 lbs, so the weight of each passenger will be required and an extra seat charge may apply. 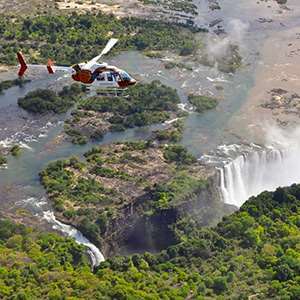 During the dry season (September-December) and during particularly dry years, water flow to Victoria Falls may be low. Today, fly to the famed OKAVANGO DELTA. This vast area features various ecosystems—wetlands, mopane forest, flood plains, and dry savannah woodland, making it ideal for game viewing. Game-viewing activities range from day and night game drives to mokoro (dugout canoe) excursions and game walks. After settling in, embark on an AFTERNOON GAME ACTIVITY. Enjoy MORNING & AFTERNOON GAME ACTIVITIES today. Spot cheetah, hyena, impala, Cape buffalo, and more. If you are lucky, you might even see the reclusive leopard. 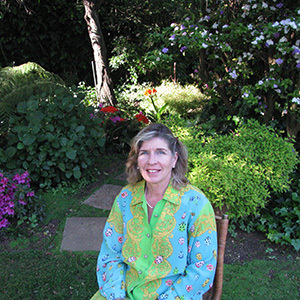 The area is also home to the rare African wild dog and more than 400 species of birds. Your tour ends with a flight to Johannesburg (via Maun) to connect with your homebound flight. Book homebound flights after 5:30 pm.